In the fall of 2013, no autobiography had fans lining up around the world more than Morrissey's Autobiography. The former and controversial Smiths' singer always has so much to get off of his chest and mind and never holds back his feelings on anything, so, when it was finally put into words after years of discussing, his Autobiography was an international best-seller. 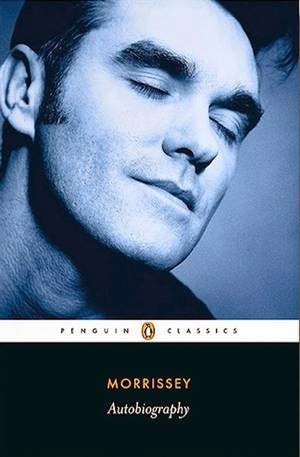 In the book, Moz dishes on his childhood, his constant gloomy state, his battles with record labels and bosses, near death encounters he had with friends, he touches on his personal life and sexuality but the main reason we grabbed the book was to find out what he would say about the end of The Smiths. While the end of one of the most iconic bands to ever form would be a key talking point, he mentions it in a few short pages. The unique layout of the book took readers off guard, it is a one chapter, 457 page document of his life. He writes his book the way he writes his lyrics, with conviction and allows you to hang onto every word as if it was the most defining moment in literature. After you finish the chronicle, you will either appreciate Morrissey more or just be annoyed by him. Bigmouth has struck again!